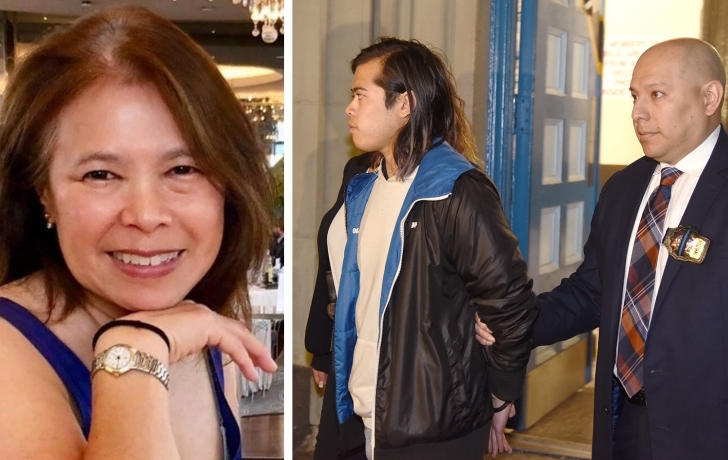 Three people are under arrest following the discovery of the body on Tuesday of Paula Chin, 65, a Tribeca resident and businesswoman. One of the suspects is Chin’s son, Jared Eng, 22. Police say that Eng and two women, Caitlyn O’Rourke, 21, and Jennifer Lopez, 18, are charged with concealment of a body. Chin’s remains were reportedly found in a garbage bag in Morristown, NJ, after being reported missing on Monday. Police say they are awaiting an autopsy to determine the cause of death. Multiple news outlets quote law enforcement sources as saying that Chin was found with her throat slashed. Her body was discovered on the property of her second home in Morristown, a police source told The Wall Street Journal. Chin lived at 17 Vestry St., where she has owned a business since 1980, according to her Linkedin. Her two businesses, Pyceco Corp. and C-E Property Corp, are listed on the buzzer of that building. For the past nine years, Chin volunteered for the Tribeca Film Festival, and for seven years as a course marshall for two charity bike-a-thons, according to her Linkedin.